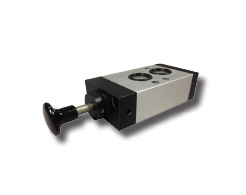 The UniTorq air lock “block and vent” device blocks the supply of air from both the solenoid valve and the actuator while it vents all compressed air. This allows for safer operation of the manual declutch device that is used when manual control of the valve is necessary. The links below will provide a PDF document containing the dimensional drawings.